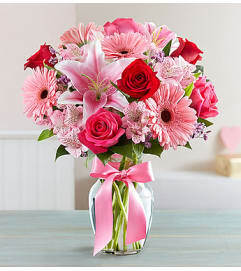 A luxurious bouquet built for two. 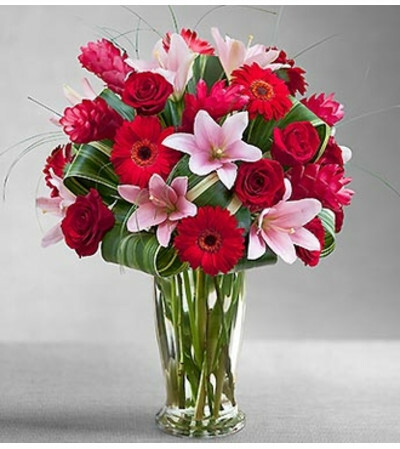 Express your affection boldly with this truly original arrangement of romantic red roses, Gerbera daisies, ginger, lilies, calcynia, bear grass and tropical leaves. 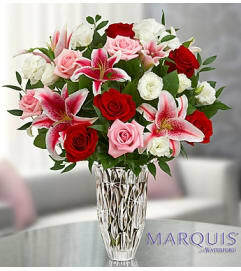 Stylishly designed in a large chic glass vase, it’s a sumptuous surprise that captures the essence of true love.